Army veteran Rebecca Flowers is finishing her third semester in the Gayle Greve Hunt School of Nursing’s Accelerated Bachelor of Science in Nursing program. 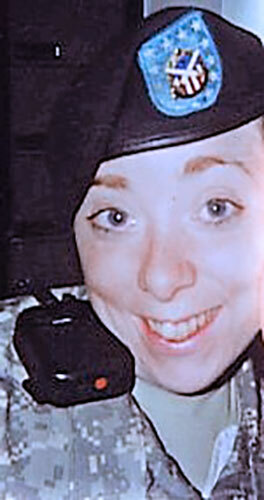 Flowers was inspired to join the Army after the Sept. 11, 2001 terrorist attacks. The memories that stick out for Flowers during her 11-year Army career, in which she achieved the rank of staff sergeant, are the camaraderie and experiences she had with her fellow soldiers. The years of military service helped her build important life skills, including a strong attention to detail and the confidence “in my own ability to accomplish anything I intend to do,” Flowers said. Flowers would like the community to keep veterans in mind as some of them struggle with mental health issues.